The UK bank’s hefty first-quarter provision implies it may be hit with an FX fine of as much as $3 bln. And ring-fencing costs remain an unknown quantity. But Barclays is making progress on expenses, and its targeted returns look higher than those of main rival Deutsche Bank. Barclays on April 29 reported first-quarter net profit of 465 million pounds, down a half from the previous year, as it booked an 800 million pound ($1.3 billion) provision to cover potential settlements for foreign exchange market rigging. It now has up to 2.05 billion pounds ($3.2 billion) in legal reserves to meet FX fines, and an additional 150 million pounds of provisions in relation to the misselling of retail insurance products in the UK. The UK lender’s investment banking division saw pre-tax profit rise 37 percent as costs fell 9 percent. Fixed income trading revenue was flat year-on-year at 898 million pounds, equities trading revenue was up 5 percent, and revenue from origination and advisory rose 3 percent. Barclays’ common equity Tier 1 ratio rose from 10.3 percent to 10.6 percent over the three months to March, while its Basel leverage ratio was unchanged at 3.7 percent. 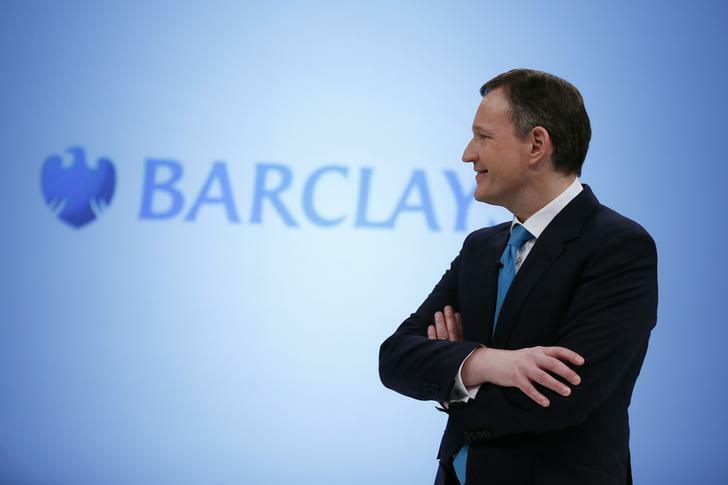 Shares in Barclays stood 0.8 percent lower at 259.35 pence by 1102 GMT.